Connect your Modbus devices into one single OPC Server for Modbus! The OPC Server for Modbus communicates with a wide range of devices supporting the Modbus TCP and Serial protocols. These devices include RTU, DCS, PLC, etc. Indeed, the server connects to multiple devices using Modbus TCP and Serial protocols with a few clicks. 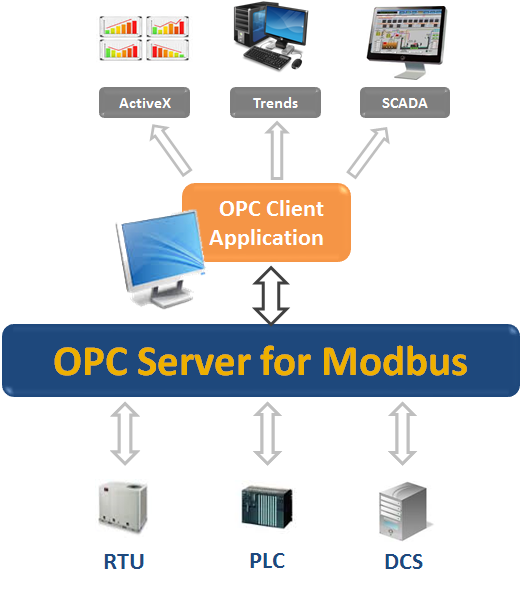 This OPC Modbus server supports standard OPC Data Access specifications. The Modbus OPC Server provides an intuitive user interface to configure reliable Modbus connections and OPC tags. Then, OPC DA clients, such as Historians, HMI, and SCADA, can easily connect to the OPC Server and exchange real-time data with multiple devices. Moreover, this OPC Server has been successfully compliance tested with the OPC DA standard specification. 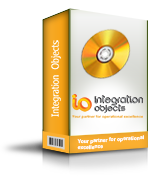 Special offer: You can now benefit from free of charge license for OPC Server for Modbus TCP or Serial for up to 50 tags.